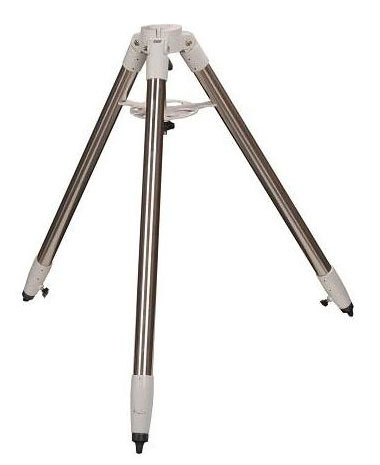 Upgrade your aluminium tripod with this stainless steel tripod. 1.75" diameter legs will mean much better stability for your EQ5 or HEQ5. A sturdier tripod is key for long tracking and also photography. Bought with EQ5 mount and TAL 100RS scope. Absolutely solid tripod base for this set up. Chose this with a view to future up-grade to a 200mm class scope and am happy this will be possible. Slight issue with clamp at base of one leg coming off after a session one very cold night. Epoxy soon solved the problem permanently. Rubber feet that cover spikes on each leg soon wore away but no real issue with this.